Musicals are making a bit of a comeback in Hollywood (GIVE US MORE) with shows like Grease and The Wiz making live appearances on TV to huge ratings, and the occasional (but still too rare) film. 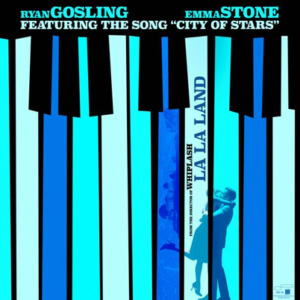 Enter La La Land, from Damien Chazelle (Oscar nominee for the phenomenal Whiplash), the film tells the story of tells the story of Mia (Emma Stone), an aspiring actress, and Sebastian (Ryan Gosling), a dedicated jazz musician, who are struggling to make ends meet in a city known for crushing hopes and breaking hearts. Set in modern day Los Angeles, this original musical about everyday life explores the joy and pain of pursuing your dreams. I’m pretty sure this movie would have killed 12 year old me, who had crushes on both Gene Kelly and pre-fame Ryan Gosling, would have killed me DEAD. I was just watching an episode of Road to Avonlea that pre-fame Gosling did. Worst Cockney accent. Was hilarious. Haha I totally found and recorded that episode of Road to Avonlea. I used to have a VHS or two of all the random episodes of shows he did that I managed to track down. Including some MMC episodes where he sang or was more prominent. I think that VHS tape still out there, but Dad recorded over it because he is still in the stone age and still has a vcr he uses to tape shows, and they don’t make vhs’s anymore so he has to scrounge.